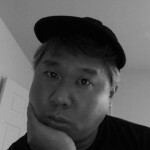 AJA Video Systems was founded in 1993 by engineer John Abt and, until recently, they were known as the company that produced converters, rackmount frames, I/O cards, and the Ki-Pro series external recorders. 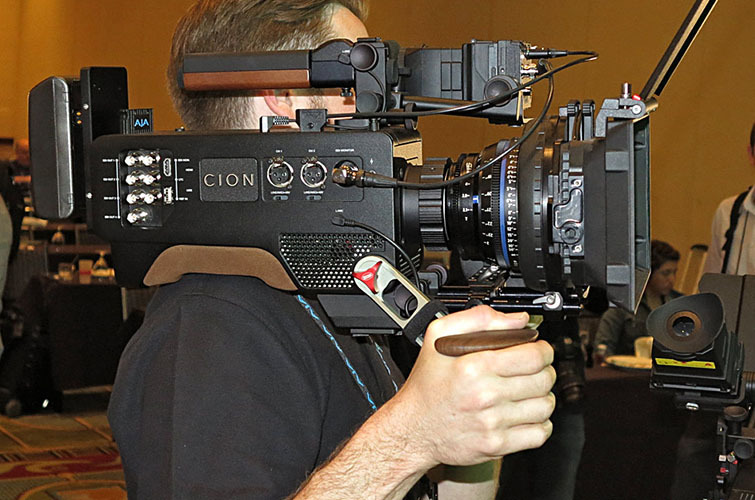 At NAB 2014, AJA announced their first camera, the CION, which generated a ton of buzz in the filmmaking community. It’s taken awhile, but the CION is available now with a significant summer price cut. 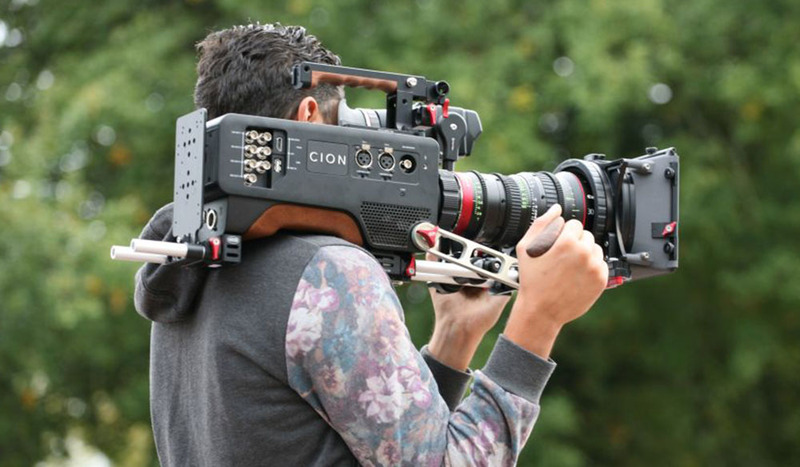 So what is the CION and why should you be interested? In a nutshell, it’s a pro-style production camera that lets you capture onboard “ready-to-edit” 12-bit 4:4:4 files. It contains a 4K APS-C sized (22.5mm x 11.9mm) CMOS sensor (slightly smaller than Super 35mm) with electronic global shutter. For workflow, you’re able to capture Apple ProRes files onboard or output AJA Raw to external recorders or Thunderbolt RAID/laptops. AJA recently slashed CION’s price to just $4,995 (down from $8,995). But before you declare the CION as a “DSLR killer,” keep in mind you’ll need to buy a number of 3rd party accessories (electronic viewfinder, battery system, matte box) in order to get the camera up and running for a production. Since most low-budget shooters do not own professional cinema-style lenses, you’ll also probably need a 3rd party lens mount. CION contains a standard PL mount, which can be removed to allow another lens mounts such as an EF or B4. To develop a look within the camera’s menu, there are six menu buttons that give you access to a variety of camera settings, including STATUS, CONFIG, MEDIA, FPS, EI (Exposure Index) and WB (White Balance). To navigate through the menus, on the left side of the buttons, you simply press and scroll menus selections with a round knob. 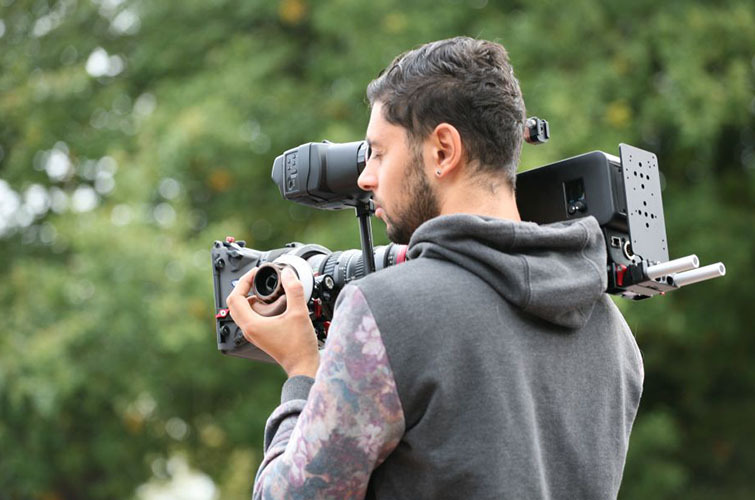 Before shooting, you need to figure out which format is best suited for your project and whether or not you need to shoot 4K or UHD. 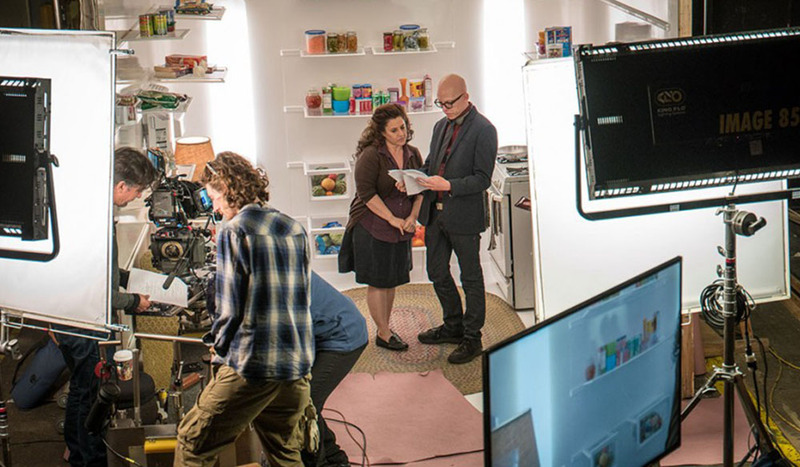 AJA were one of the first companies that embraced an Apple ProRes workflow. 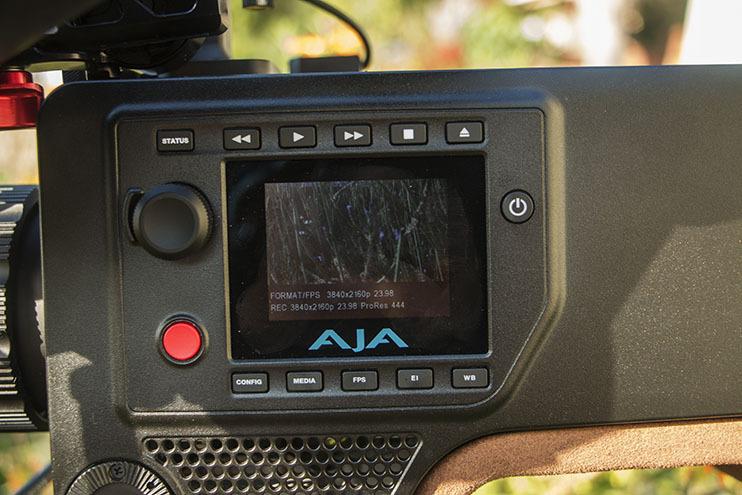 Using AJA’S Pak Media, you can capture ProRes 4444 (up to 30 fps), 422 HQ, 422, 422 LT, and 422 Proxy. In my experience, although they’re not Raw files, ProRes 4444 files are pretty much indistinguishable to uncompressed 4:4:4 and you can capture them internally with the CION. And compared with onboard capture from cameras like the Sony FS7, you’re actually capturing a better codec (more bit-depth and less compression) than Sony’s 10-bit 422, 50 Mbps XAVC-I. Part of the reason is because the CION contains a global shutter, which, like film, performs worse in low light conditions. The advantage of the global shutter is that because you’re capturing the entire frame at the same instant, you don’t suffer from the wobble, skew, and smear effects you would from a rolling shutter. In other words, the image is more stable. For doc-style shooters who work mainly in available light, the CION might not be the camera for you unless you shoot mainly daytime exteriors. For outdoor daylight scenes, I shot at 320. For indoor shooting, 800 held up pretty well, although it was difficult to get a decent exposure with only practical lights. The next thing you have to take into consideration is your gamma setting, which is also found in the EI section. There you have a choice of Normal, Normal Expanded, Expanded 1, Video, and Disabled. In the WB menu section, you can create a couple of looks in regards to color correction, including Normal, Flat, Skin Tones, and Video. If you’re a cinematographer who likes to set your look in camera (keeping more control through the post pipeline), you’re going to want to use the Video gamma setting with Skin Tone color correction, especially when working with actors. The Video gamma setting produces blacks and colors with a bit more contrast and the Skin Tone color correction setting produces less saturation in skin tone values producing a more natural (less video-like) look. If you expose correctly and select the right color temperature, you’ll save a lot of time in post. If you’re a filmmaker who will have ample time in post for color correction and you don’t have total lighting control over your location (e.g., a contrasty day exterior), set your gamma setting to Expanded 1 with Flat color correction. The Expanded 1 gamma setting increases latitude—similar to Sony S-Log and Canon Log—and lets you build the exact look you want in your color grade. The Flat color tool gives you less contrast and saturation while still providing a nice feel to your images. For my tests, I added warmth, contrast and a Cinematic 1 Lumetri Look in Adobe SpeedGrade. The CION’s post workflow was straight-forward—you simply eject your AJA Pak from your camera, insert into your Pak dock connected via Thunderbolt or USB 3.0 to your computer, and drag an “AJA” folder on to your desktop or external drive. If you captured ProRes files, you’re good to go with no need to do any transcoding. As I indicated earlier, shooting indoors at 800 EI, my captured image looked a bit underexposed, but I was surprised by the amount of shadow detail I was able to lift without generating too much image noise. Far better results than a 4K DSLR’s compressed H.264 or H.265 codec. If you think of the CION more like a film camera, and less like a full-frame DSLR or mirrorless camera, you’re going to capture great cinematic images. 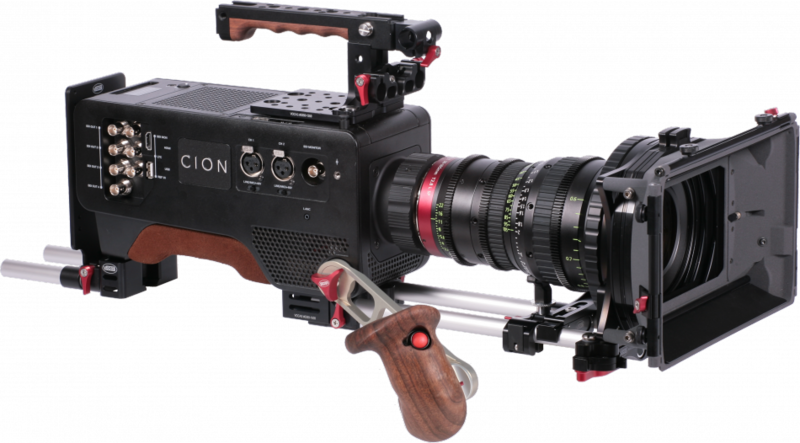 For only $5,000 (camera body only), the CION is an great choice for filmmakers who want to own their camera body rather than rent it. Interested in the AJA Cion? Have you had any experience shooting with one? Tell us all about it in the comments below!